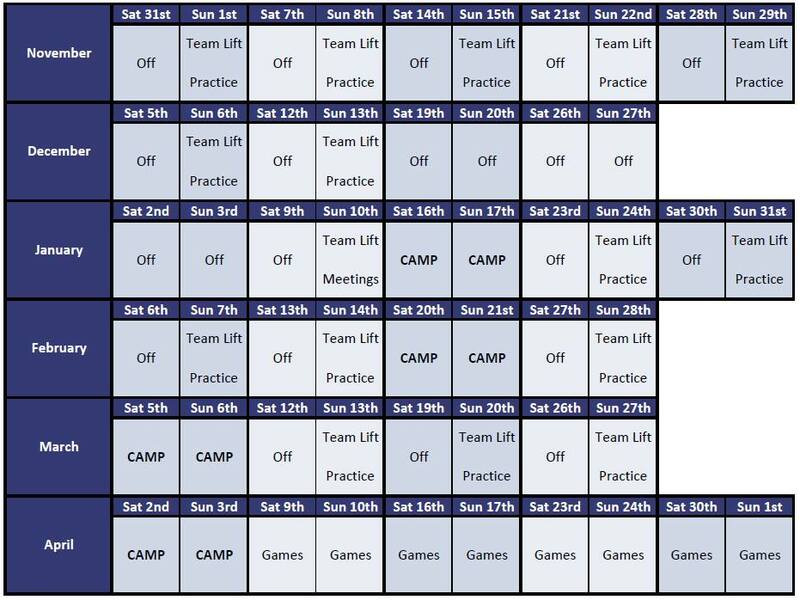 As part of the Senior team’s objective of gaining promotion to the Premier Division within our first four seasons, the Club are pleased to announce our off-season schedule for all prospective players for 2015/2016. In a change from the traditional practice schedule, starting at the end of November the team will take part in “Team Lifts” at Gold’s Gym in Bedford on Sunday mornings, before heading to Bedford International Athletics Stadium (BIAS) for a shorter practice session. From January, weekend Camps will take place once a month at BIAS focusing on installations, targeted practice sessions and film reviews. Subject to the release of the regular season schedule, weekends throughout April will be dedicated to pre-season games, and will be announced once confirmed. Team Lifts and Camps are mandatory for all team members, with practices in between being optional but highly recommended. Further details will be released shortly, but all camp costs will be included within players subs (which are not expected to rise for the 2016 season). If you are interested in joining the Eagles then our third rookie session of the month takes place this Sunday at Lealands High School in Luton, starting at 11am.